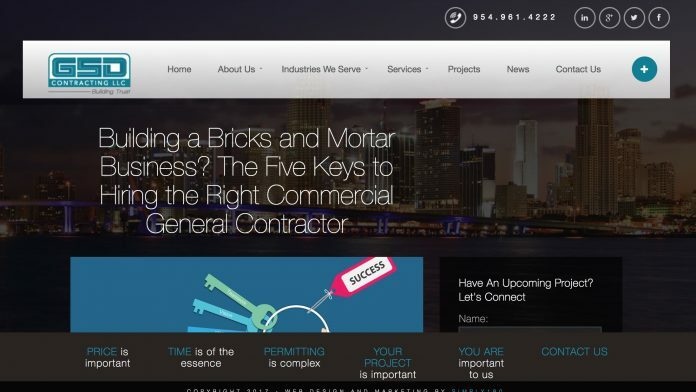 Ft. Lauderdale, FL based GSD Contracting LLC has built the phrase “Building Trust” into its logo — and this commercial contractor has achieved that objective with its well-designed and written blog. Consider this post for example: Top 5 Design Trends: The Future of Bank Construction in South Florida. Clearly, I am not responsible for decision-making about bank design or decision-making in south Florida, but I can reasonably assume the individuals with these responsibilities would find the insights in the post to be useful, and of course that is the intent. I’ll let you read the blog for the four first keys, but the fifth I think encapsulates the “building trust” concept. Getting stuck because local contractors simply can’t cover the costs of construction is every business/property owner’s nightmare. The best contractor is not only the best builder, but the one with the financial history to complete your project to your full satisfaction. Consider requiring a payment & performance bond, a contractor who can secure such a bond is already steps ahead of its competition. 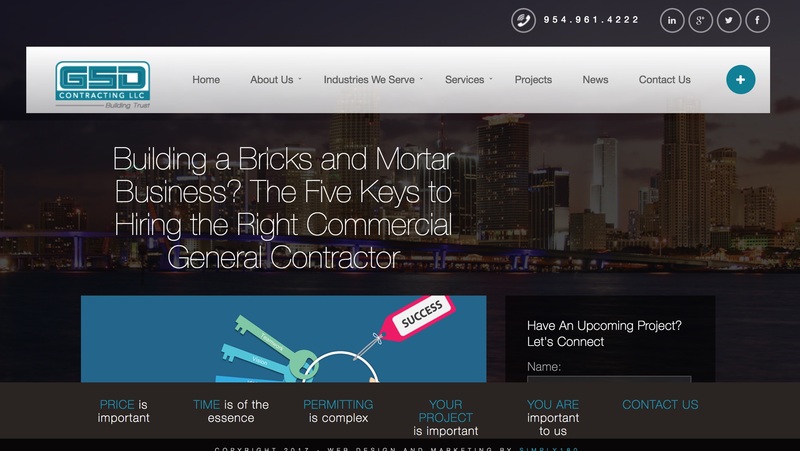 If a contractor can’t pay his/her subcontractors, your project’s completion is in jeopardy. You’ve got to do your due diligence in this critical aspect of hiring a contractor. GSD’s blog indeed is a worthy entry in the competition. You can vote once (for as many blogs as you wish) until March 31.